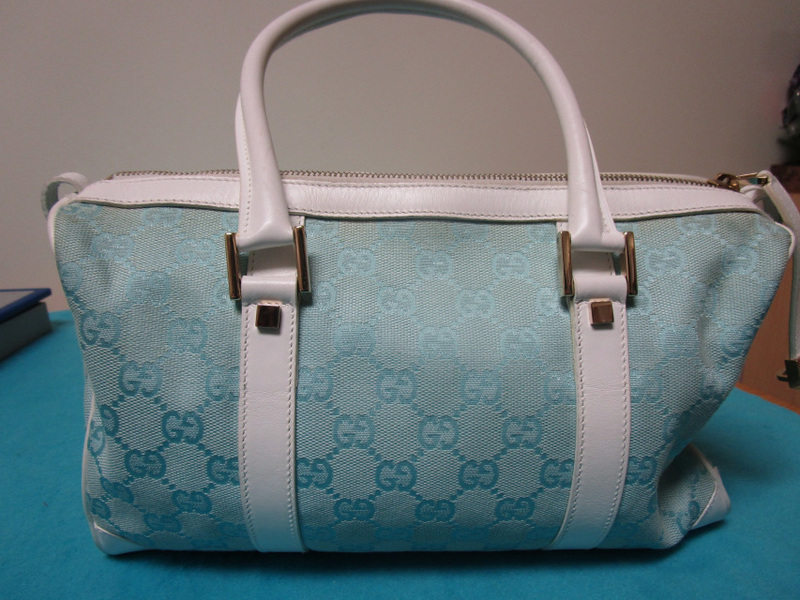 Blue and white Gucci Boston summer purse with the brown Gucci cover bag ad the certifcate of authenticity. It zips shut and has one zip up pocket inside. The zipper sanps into the side of the purse to keep it locked.